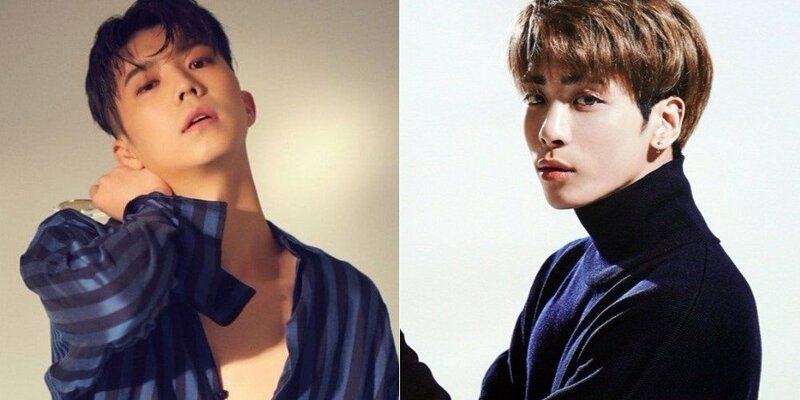 2PM's Wooyoung�revealed he saw his past self in the late SHINee member Jonghyun. On January 15, Wooyoung had an interview with TV Report�at a cafe in Gangnam in light of his comeback with the�2nd solo album. When asked why he lacked solo promotions compared to other 2PM members and took 5 long years to make a comeback, the idol star mentioned Jonghyun's death and stated, "I recently heard the unfortunate news about Jonghyun. I believe he made such decision because he was struggling far more than me, but I deeply understand him and I believe�there are a lot of celebrities who are going through similar situations. I, too, was in a similar situation 5 years ago." Wooyoung continued, "It (Jonghyun's depression) seemed like my own story. At the time, I wanted to overcome in any way possible. I only thought of the 2PM members. I could've ended it but I thought I couldn't just end it this easily. I held on thinking about how I need to finish strong." He then shared how he overcame his depressive state, and said, "I found a way of my own. I learned to draw, I tried scuba diving, and I relied on hyungs that lived longer than I have. I overcame by reading books and watching documentaries."